CERTIFIED EXPERT INK AND LIVE SCAN FINGERPRINTING THROUGHOUT THE ENTIRE DALLAS – FORT WORTH, TX AREA. Budget Fingerprinting & Notary is a Dallas-Fort Worth Fingerprinting and Texas Notary Public services company. We offer traditional ink rolled and live scan fingerprinting, digital fingerprint cards and archiving, and Texas Notary Public services by appointment daily (closed Sundays) in our Irving, Tx office. If you need us to come to you, we also offer mobile on-site service throughout the entire Dallas - Fort Worth area and beyond. Now offering live scan fingerprinting for lightening fast FBI reports, Florida background checks, FINRA, and fingerprint archiving! * Includes 2 fingerprint cards. Budget Fingerprinting & Notary Services offers traditional black ink & electronic livescan fingerprinting and Texas Notary Public services by appointment in our Irving, Tx office or by mobile on-site service around the Dallas and Fort Worth Texas metroplex area and beyond. You don’t have to be a Texas resident or even a U.S. resident, we can fingerprint anybody for FBI criminal history background checks, for any state, and for the Immigration & passport process for any country. You simply need to show us a government issued photo ID at the time of fingerprinting such as a drivers license, passport, state ID card, or Military ID card. We work by appointment in our office OR we can travel to you for an added travel charge. Most often, we can take care of you the same day you call us, or by the following day. You can book a convenient appointment with us by calling (214) 529-8157 or online. We are available for appointments Mon through Fri 8:30 am – 3:30 pm, and on Saturdays 8:30 am – 12:30 pm. Closed on Sundays and most holidays. Our nice, clean, professional office is centrally located between Dallas and Fort Worth at 1226 N. Belt Line Rd., Irving, TX 75061. We are just 5 minutes southeast of the DFW Airport, and only 3 stop lights south of Hwy. 183/Airport Frwy. (southeast corner of Belt Line Rd. and Pioneer Dr. next to Walgreens). The sign above our office reads "Fingerprinting and Notary Services". Please call (214) 529-8157 to schedule an appointment prior to driving to our office to ensure our availability. We work by appointment in and out of the office. We are certified and authorized to complete ink based fingerprinting on fingerprint cards or forms for most applications. We only use approved high quality fingerprinting ink pads and official fingerprint cards. 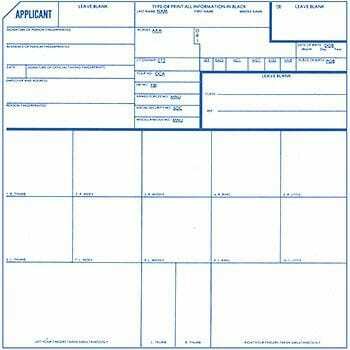 We stock the blank FBI FD-258 cards which are commonly used for most applications. We can also fingerprint on all other types of fingerprint cards and forms. Most licensing and employment agencies require ink fingerprint cards. In addition, we utilize electronic livescan equipment for personal FBI reports for: Personal review, adoptions, foreign travel and residency, foreign work Visas or student Visas, and attorney requests. We can also scan and archive fingerprints to print out on multiple fingerprint cards. This is beneficial for people who require fingerprinting for professional licensing in multiple states – nursing, insurance, mortgage, etc. Get fingerprinted once rather than multiple times and order more cards printed out as needed in the future. 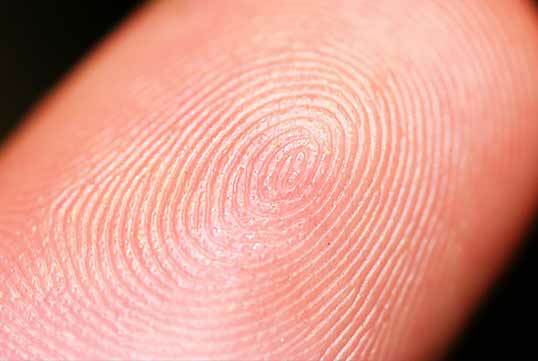 Digital fingerprinting is inkless, efficient, and extremely accurate. 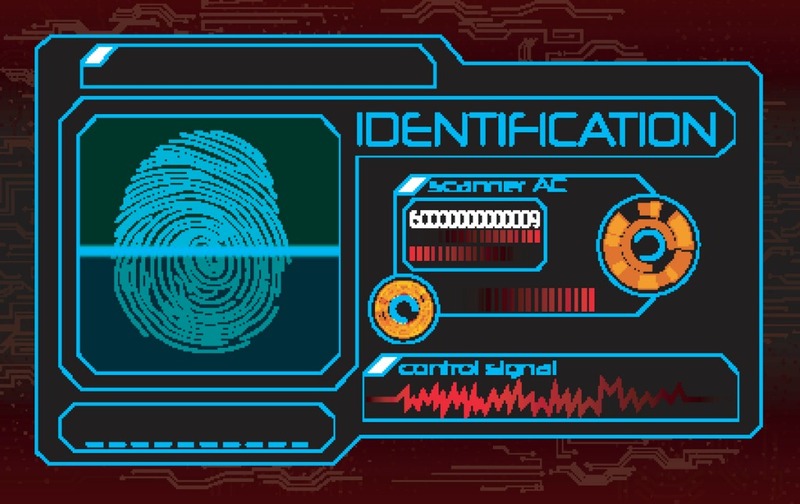 The most common reasons we fingerprint are for: Professional/Occupational licensing requirements - nurses, physicians and other medical personnel, mortgage professionals, out of state insurance adjusters, FINRA compliance for Financial Advisors, Investment Bankers & Securities Brokers, Government contract workers, FDIC contractors, Immigration fingerprinting, adoptions, legal name changes, out of state liquor licenses, Virginia & Arizona CHL, expunge past criminal records, collection agencies & debt negotiation companies, commercial and out of state real estate licensing, USPS employment applicants, Census workers, IRS E-File submission for income tax professionals, and for attorneys/law firms. If you don't see your reason listed above, just call and ask us - most likely we can do it for you! While walk-ins are welcome, it is always best to call ahead at 214-529-8157 and schedule an appointment just to ensure we are in the office and can see you when you come in. When we're out servicing mobile appointments we lock the office so we just want to ensure that we are here for you. We have years of experience, we're certified, insured, and we are extremely dependable. Our fingerprinting quality is second to none. We are considered Dallas-Fort Worth's top rated Fingerprinting and Notary Services Company for a reason. Let us show you why we are considered to be the first choice in Dallas-Ft. Worth for fingerprinting and notary services. Business Owner, Neal H. Stout, is a Certified Fingerprint Technician as approved by the Texas Department of Public Safety’s Private Security Bureau #4634. Neal is officially qualified and authorized to record fingerprints for all 50 States and for Federal (FBI) criminal background checks, via ink fingerprinting and electronic live scan fingerprinting. In addition, Neal is a commissioned Texas Notary Public. When required and as requested, Neal can provide his official certification to you prior to conducting the fingerprinting process. Neal will provide you with the highest quality of classifiable fingerprinting available. All work is fully guaranteed. At expert level, Neal has fingerprinted thousands with an extraordinarily small classification rejection rate of less than 1%. How was this company founded and why? In 2008, Neal saw a huge need in the Dallas – Fort Worth, TX area for a mobile fingerprinting and notary agency. The public simply did not have an easy or quick way to get their fingerprints recorded for background checks because the area Police departments only fingerprint residents of their city and only on certain days and hours of the week. In addition to this inconvenience, the law enforcement agencies DO NOT carry the necessary FD-258 fingerprint cards and most do not do Immigration fingerprinting. They certainly DO NOT provide a mobile service. Thus, Budget Fingerprinting & Notary came into existence and has been a very popular service ever since. Don’t wait in line to be fingerprinted in an intimidating jail house booking area, call 214-529-8157 for a convenient appointment today! Prior to becoming an official fingerprinting expert, Neal Stout’s professional career spans back over 20 years in high level management in the banking and finance industries. With his high level of professional experience, and thousands of people fingerprinted over the past decade, you are guaranteed to receive the highest level of excellent service, quality workmanship and professionalism. We have many, many references from some of the top fortune 500 companies throughout Dallas-Fort Worth that we fingerprint for on a regular basis and we can provide references upon request. Please also refer to our Testimonials. Give us a call today at (214) 529-8157, we’ll give you fair rates and top quality guaranteed workmanship so that you can start saving time and money right away! Legally Carry Concealed Weapons in 29 States, Including Texas! Protect yourself and your family – Available to U.S. citizens in all 50 states. 214-529-8157 to complete the fingerprinting, notary and passport photo process for you. The Virginia concealed weapons permit is recognized in 29 states including Texas. Join the millions of Americans licensed for concealed carry exercising their freedom to protect themselves, their families, and their property!